The New York-based humanitarian organization released a 76-page report Monday saying Pakistani authorities have forced hundreds of thousands of Afghan refugees fleeing poverty, war and unemployment in Afghanistan to return to their homeland. It adds that the U.N. High Commissioner for Refugees' office is complicit in Pakistan's efforts to remove the refugees by "failing to call for an end to the coercive practices." 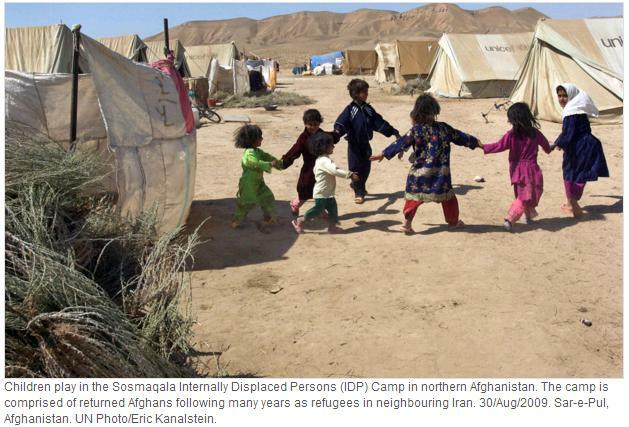 The returnees to Afghanistan include 365,000 registered refugees. Pakistan has about 1.1 million Afghan refugees, about 750,000 of whom are unregistered, Human Rights Watch said. "After decades of hosting Afghan refugees, Pakistan in mid-2016 unleashed the world's largest recent anti-refugee crackdowns to coerce their mass return," said Gerry Simpson, author of the report. "Because the U.N. refugee agency didn't stand up publicly to Pakistan's bullying and abuses, international donors should step in to press the government and U.N. to protect the remaining Afghan refugees in Pakistan." Many returning Afghan refugees were persuaded to leave Pakistan by a doubling, to $400, of cash support from the United Nations, the report said, although the refugees typically had no home to which to return. Many reported they felt threatened by a wave of anti-Afghan hostility in Pakistan.